Do you often think about what affects your health every day? How many electromagnetic waves are irradiated by your body, what geopathogenic influences is your family exposed to? If we take into account the fact that the number of people suffering from cardiovascular diseases is increasing every year, headaches and dizziness are already a normal state of the population, then it is worthwhile to think about why this happens and how to solve these problems. You can now begin to take measures to reduce the impact of negative factors. 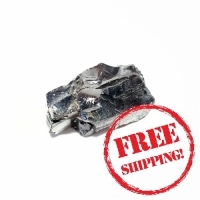 For example, to buy a shungite pyramid, which is able to reflect the negative impact and neutralize radiation. The material for making pyramids can be very diverse. But the strength of the protective properties depends on the material, the angle of ascent, and the dimensions. Synthesis of a unique mineral - shungite and magical form gives as a result a powerful energy amulet with a wide radius of impact. More often than not, the pyramid controls the radiation in the radius of one room and the larger the room space, the more the pyramid should be. I bought a Shungite pyramid for a present to my friend Rebecca and I'm very satisfied with my choice – looks extraordinarily and brings some magic to her life. What a powerful thing! Shungite pyramid helped me to forget about insomnia, I'm so happy to have it at home! 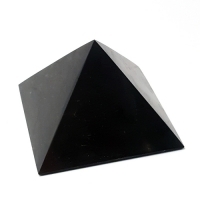 Shungite pyramid is a wonderful gift! I believed in its cosmic energy when the relationships with my husband became much better, we were close to divorce 3 months ago and then after my mom gave us this little souvenir, we’ve been feeling a real harmony being together. 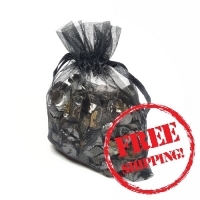 I ordered a Shungite pyramid via this website and everything I can say to the company is "Thank you!". Fast delivery, qualitative service, beautiful and very useful goods. Keep on going!